When Ashe, a diabolical cowgirl with a robot buddy, was announced at BlizzCon on Friday, people were excited. Some wanted to play as her. Others wanted to be stepped on by her. But once the excitement started to die down, the discussion shifted: Ashe is another skinny white woman, people pointed out, in a game that still doesn’t have even one black woman hero. “On one hand, yay, new Overwatch hero! Looking forward to seeing what Ashe can do. On the other hand…. where is my black female hero, Blizzard??? ?” wrote one fan on Twitter, echoing an almost endless avalanche of similar sentiments. Those fans’ disappointment grew when Blizzard revealed in a subsequent BlizzCon panel that Ashe had darker skin in a very early design. They couldn’t help but see a pattern forming, noting that an early iteration of the character Mercy was also black. There are also potential black heroes who’ve been on fans’ radars for years, but who’ve yet to make it into the game. Overwatch now has 29 heroes, which include men and women from all sorts of backgrounds that aren’t often represented in big-budget video games. Doomfist is a Nigerian man, Pharah is an Egyptian woman, and Lucio is a Brazilian DJ. There are even black women in the game’s supporting cast, like Orisa’s creator, Efi Oladele. After all this time, though, black women are still conspicuously absent from the hero roster, even as the game faces criticism for a lack of variety in women heroes’ faces and body types. Jeff Kaplan told Kotaku at BlizzCon that Ashe as we now know her was born of timing and sudden inspiration, which played a role in her appearance. Originally, she was just a supporting character in “Reunion,” the new cinematic revealed during BlizzCon. 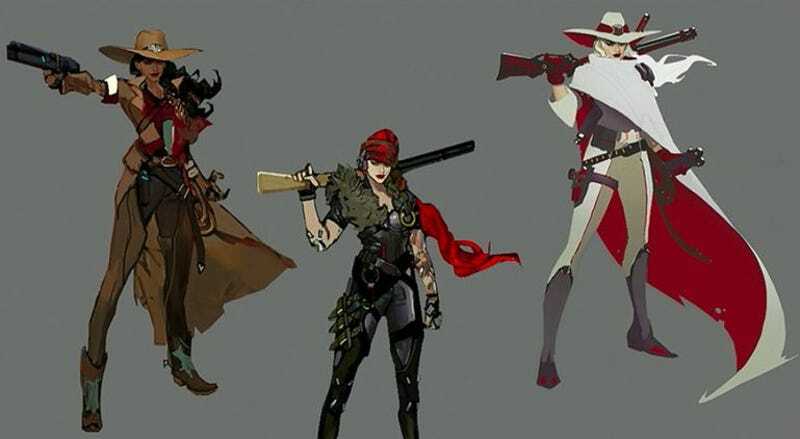 It was conceived as a “McCree piece,” but the Overwatch team saw an early, pre-animation version of the video created by the cinematics team and were taken by Ashe’s look and personality—and also B.O.B. They decided that Ashe would be the next hero. But that doesn’t explain why Ashe couldn’t have ended up as a black woman, nor does it do much to assuage the concerns of fans who’ve been waiting so long for a hero who speaks to them on a personal level. More characters are on the way, so here’s hoping that Blizzard decides to show its hand sooner rather than later. We’ll have more from my Overwatch interview soon.